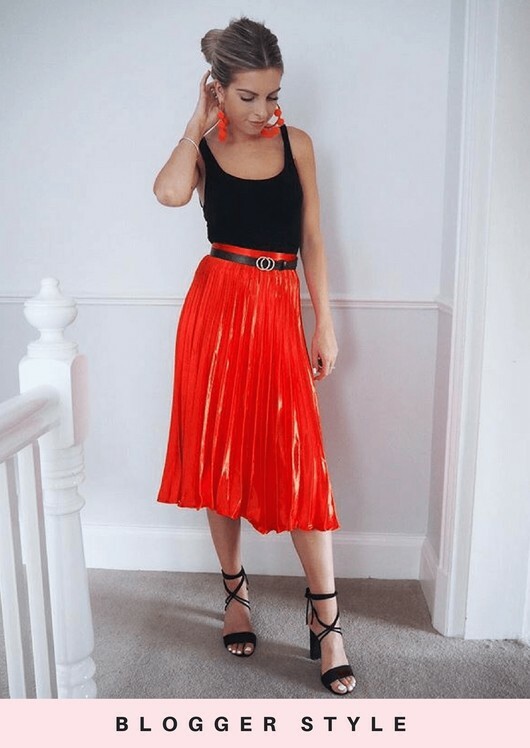 Dazzle the crowd and let your elegant ladyside show with this stunning Orange high waisted pleated midi skirt. Features a high waistband for a defined silhouette, back zip fastening and a gorgeous pleated satin material that sways when you walk. Team with a crop and barely there heels for a chic look.